With winter setting in we all would like to have a bit of the sun. Be it barbequing, camping, or lounging in a chair! And all this can be powered for almost free with the sun’s energy. Solar power inventions are slowly but steadily powering the world. 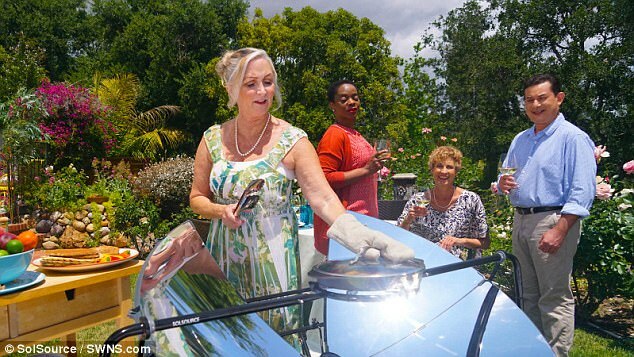 Apart from the conventional rooftop solar and ground-mounted solar, there have been a series of exciting solar consumer products gaining traction worldwide. The technology is surely proving its forte with improving technology and reducing costs. In the article below, we have listed four such cool outdoor solar inventions, which not only look stylish and improve the place value but are also easy in the pocket. With festival season around the corner, you might also like to check out our list of 5 Awesome Solar Products for buying/ gifting under $100. Solar-powered barbecue uses solar energy, reflected on mirrors to heat up. This eco-friendly barbeque cuts down harmful emission from burnt charcoal. The barbeques have also proven to heat up faster and can also cook in temperatures as low as -1 °C with winds up to 30 mph. Sun shades make it easier for one to work outdoors effortlessly and save on traveling cost and fuel consumption. All that is needed is an energy point, wireless connection and the sun shades (with solar panels attached). They can be installed by the swimming pool or in a garden. Ideally suited to create a blog space for bloggers who would like to step out of their homes and have an office atmosphere around! 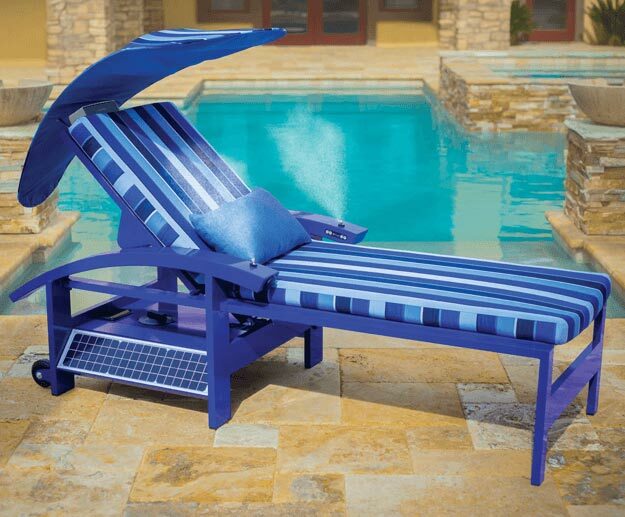 We all love to relax on a lounge chair after a swim and what better option than to have a solar-powered lounger under the sun. The entertainment lounger comes with inbuilt speakers, USB charging port etc. Solar panels are attached to each side of the chair’s base and powers all the entertainment features. 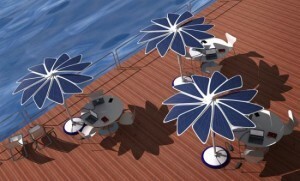 The chairs recline function can also be powered from the energy generated by the solar panels. These are ideal to be installed in the pool area. Looks neat without a mesh of wires and is also safe in the wet area. You might also like to read our list of Top Solar Products that can reduce your Bills this summer. Doesn’t this tent look amazing! Who would have thought about such bright light while camping? But solar energy makes it possible. 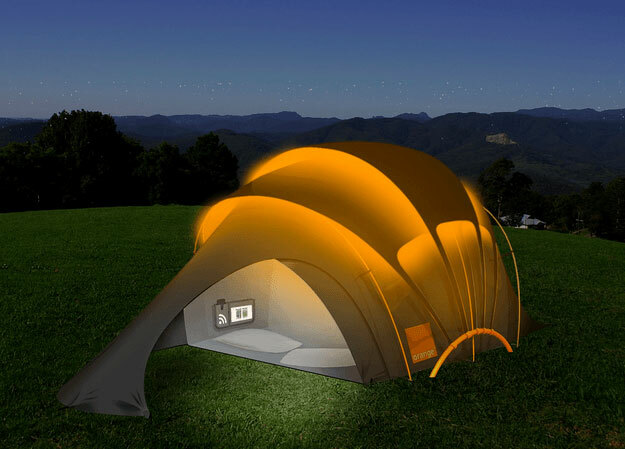 These tents are unique and specially coated solar threads are woven into the conventional fabric. The solar power generated could be used for different functions like central heating, charging etc. There’s something for your pet too! 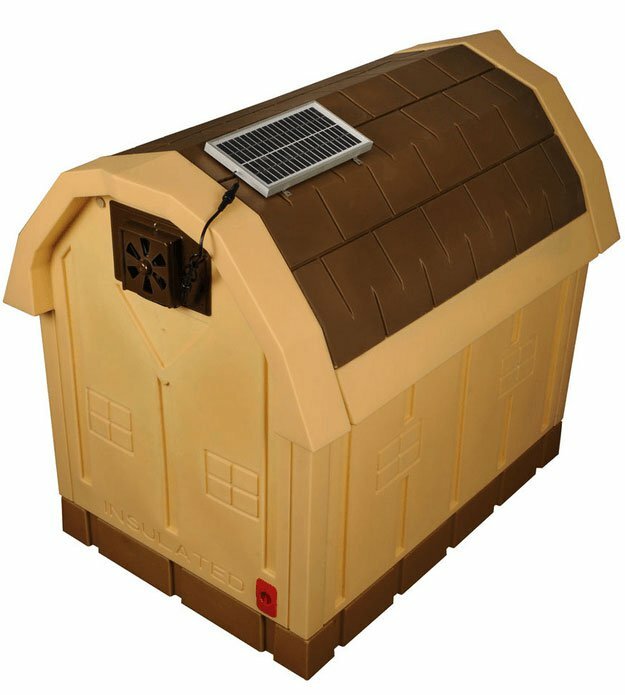 Another cool application of solar panel could be atop a dog house. The power generated from the panels could be used to run an exhaust fan fitted on the kennel.